Is Jon Snow the Prince who was promised? The red priestess Melisandre’s religion believes that a ‘Prince who was promised’ (also known as the Warrior of Light) will be reborn to save humanity from the long night, and to represent her god (R’hllor) on earth. According to Melisandre’s beliefs, the Warrior of Light will be “reborn amidst salt and smoke” and will be the one to pull a flaming sword out of the fire to prove him/herself. The sword will be known as Lightbringer and it’ll be used to fight the darkness. Originally, Melisandre believed this to be Stannis, but he’s dead and didn’t fit the prophecy. Jon was indeed reborn “amidst salt and smoke” as Melisandre literally brought him back to life in a smoky room at Castle Black. He’s yet to pull a sword from the flames but… we know from the latest trailer for season 7 that Beric Dondarrion, who wields a flaming sword, is joining Jon for a raiding party north of the wall. That means Jon will have a chance to grab the flaming sword if it falls for some reason. 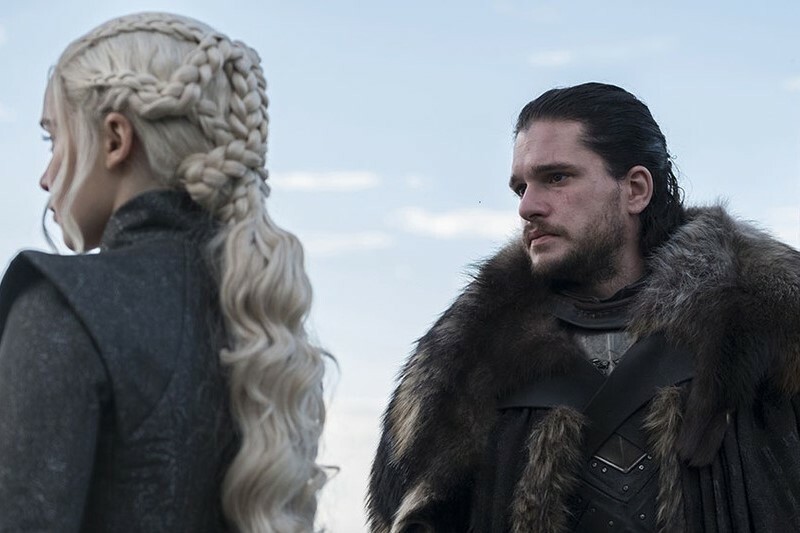 Jon seems to be the only main character interested in fighting the real threat at the moment, so it seems hugely likely. Therefore, we get a strong case for him being the Warrior of Light. Interestingly, the books suggest that the Warrior of Light may be a Targaryen, and we now know that Jon is part Targaryen, so he fits that part of the prophecy too.